A divorce, custody battle or paternity suit may put someone’s rights in jeopardy. At the Faucette Law Firm LLC in Douglasville, Georgia, we recognize the importance of building a solid legal strategy from the moment we meet our clients. Though we maintain an aggressive approach in pursuing our clients’ goals, we are sensitive to their needs during what, for many, is an upsetting time. In every case, we are devoted to helping our clients understand their options. Whether we go to court or are able to secure a settlement outside litigation, we keep our focus on protecting our clients’ best interests. 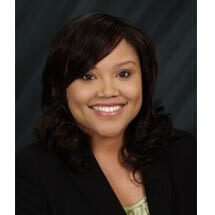 Our founder, Alicia Faucette, is a former prosecutor who has years of trial experience to her name. She is a member of the State Bar of Georgia, the Georgia Association of Black Women Attorneys and the Georgia Trial Lawyers Association. Faucette Law Firm LLC accepts credit cards and represents clients throughout northern Georgia, including those in Atlanta as well as Cobb, Fulton and Douglas counties. The Faucette Law Firm is a debt relief agency that helps people seek bankruptcy protection under the U.S. Bankruptcy Code.